Alkis Keramidas was a prolific Greek artist with hundreds of paintings currently in public and private art collections in Greece, Europe and the U.S. In addition to his paintings, his work included theater sets, fabric designs, book illustrations and pottery. Retrospective – 1987: Organized and funded by the Mayor of Athens, in memoriam of A. Keramidas. Vasiliki Keramida, Ph.D., CEO & Chief Technical Officer, KERAMIDA Inc. The Alkis Keramidas Museum of Art was conceived and created by Vicky (Vasiliki) Keramida, the artist's daughter. The Museum is a non-profit organization, funded by the KERAMIDA Institute for Sustainability and Art. Devoted to showcasing the life's work of Alkis Keramidas, the Museum exhibits an edited body of work ranging from preliminary sketches to finished paintings. In celebration of the artist's connection to his homeland and his daughter's adopted homeland, the Museum displays work Keramidas completed in Greece and Indiana side by side. Intimate and personal works illustrating Greek life contrast the serene and lush landscapes of the Indiana countryside. Keramidas was one of the few artists of his time to depict the human suffering during WWII. 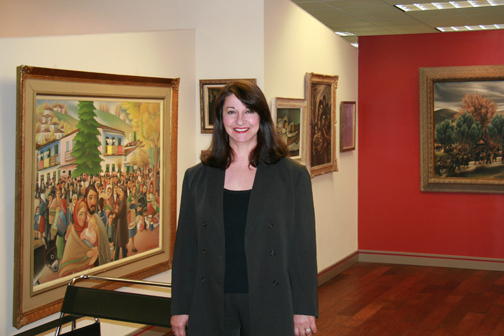 The Museum's permanent collection also includes an acclaimed selection of paintings the artist completed during that time. With quiet and haunting illustrations, Keramidas captures the human condition in images that move beyond the immediate anguish of the Greek people, and instead become a testament to all human suffering during times of war. Alkis Keramidas was born in 1905 in the beautiful ancient City of Ypati, in central Greece, high on the slopes of Mount Oiti, where the mythological hero, Hercules, had lived. Keramidas was born to a well to do family of businessmen and army brass, and was the last of eight children, over 20 years younger than his older brothers. His conservative family was unsympathetic to the artistic talent Keramidas exhibited from a very young age – a quality not valued at that time in their elite social circles. 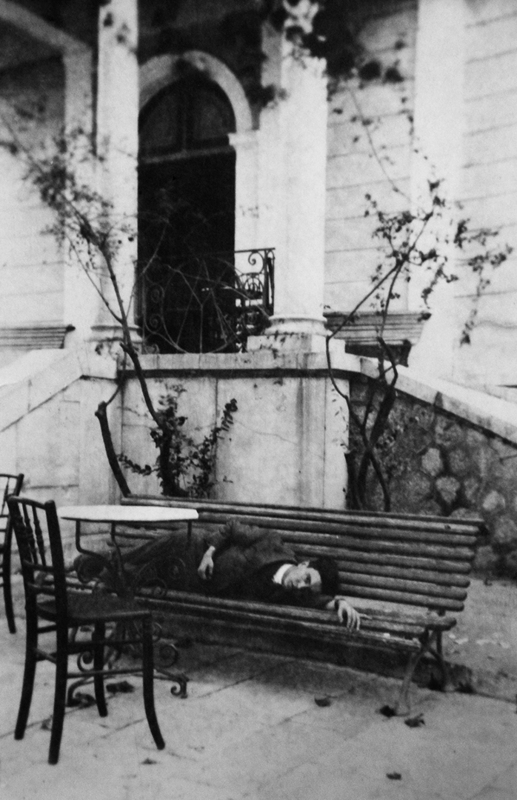 When Keramidas took the entrance exam and was accepted at the prestigious School of Fine Arts of the Polytechnic University of Athens, his family, rather than rejoicing in his success, cut off all financial support because he had refused to enter the military academy and follow in his brothers' footsteps. Without financial support, Keramidas' chance at success at the University would have been hopeless in that period of Athenian life. Keramidas’ guardian angel came in the face of his nanny, Vasiliki, who had raised him. She had never had any children of her own, and while living in Athens with her husband, she took Keramidas under her wings, inviting him to live in their home when he entered the School of Fine Arts. She supported him financially throughout the five-year program at the University, enabling him to follow his dreams. Keramidas’ feelings of admiration, respect, and love for Vasiliki were immense. When Vasiliki became a widow, he insisted that she live with him and his young wife, Ula Boukou, and treated her like a mother for the rest of her life. Following the Greek tradition of honoring one’s parents by naming a child after the father’s parents, Keramidas named his only daughter Vasiliki, thus honoring his nanny, rather than his biological mother, Alexandra. Keramidas’ early years as an artist were hard under the economic and political crises of Europe before World War II, but it was also a tremendously rewarding time for him artistically. The most well-known critics of the day, from all the major newspapers and literary magazines, wrote raving reviews about his lyrical paintings, his luminosity, and his unmistaken identity as an artist. Keramidas lived with his beloved wife, Ula, in the house they built in the Paleo Faliro neighborhood of Athens, where they raised their two children, George and Vicky (Vasiliki). Ula was his anchor, his muse, and the driving force behind his career. Fifteen years his junior, she masterminded the publicity of his work and loved to entertain in Keramidas' spacious atelier in their home. Ula skillfully created a salon atmosphere that drew hundreds of friends and colleagues to visit regularly to view Keramidas' paintings and talk. Like most intellectuals in Europe at that time, Keramidas was a leader in the left movement - politically, socially and philosophically. His atelier became the place where authors, musicians, fellow painters, politicians, journalists, academics, and art lovers gathered to eat, drink, talk and advance liberalism, intellectualism, and free thinking. 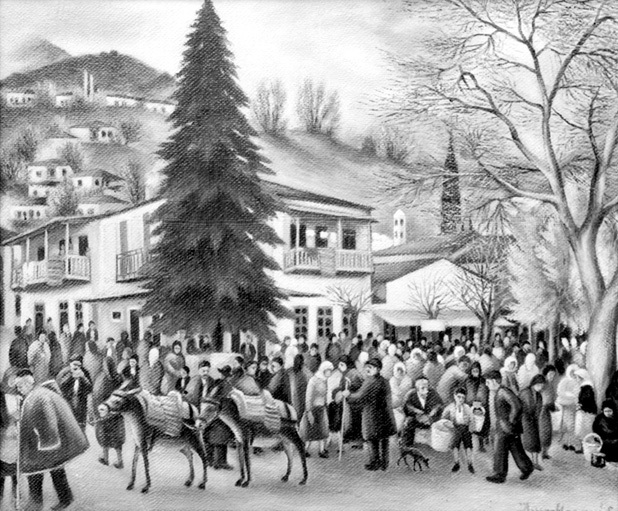 Keramidas' “Life in the Village Square"
Keramidas enjoyed great success during his career, drawing both critical acclaim and selling to a constantly expanding group of patrons. His painting “Life in the Village Square” won First Prize for Art, of the USA’s Marshall Plan for Europe, after World War II. Keramidas had the rare distinction of being one of the few artists in the world who was successful during his lifetime in both reputation and monetary rewards. Keramidas died in 1980 from a heart attack in his beloved summer home in Saronida, Attica, Greece. Following a very successful, highly attended retrospective show in 1987, several high profile art critics wrote glowing reviews of Keramidas' work.